Home Edm News Insomniac’s kineticLOVE Stage will travel across the US for EDC Orlando! 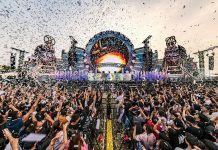 Insomniac has announced Electric Daisy Carnival’s newest stage design, kineticLOVE, will travel more than 2,300 miles to the east coast to EDC Orlando at Tinker Field Friday, Nov. 9 and Saturday, Nov. 10. 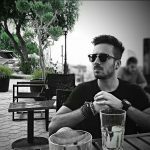 The physical manifestation of one of dance music culture’s core values, kineticLOVE debuted at EDC Las Vegas 2018 and inspired more than 400,000 headliners to love and accept one-another while seeking a deeper connection with those around them. Continuing its journey to EDC Orlando 2018 to create an environment of good will and beautiful, connected spirits, kineticLOVE will host performances by some of the world’s more celebrated dance music artists across both electrifying days. The kineticLOVE trailer showcases the stunning stage design as it plays host to dancers, dreamers, and visionaries from around the world as they embrace the essence of their favorite artists Under the Electric Sky. 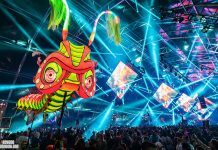 The expansive stage features hundreds of moving flame units, lasers, and confetti blowers combined while two majestic figures hold up what is at the center of life, a pulsating and vibrant heart. 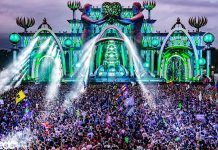 The 8th edition of EDC Orlando will return to the entertainment capital of the south to bring together more than 80,000 fans. 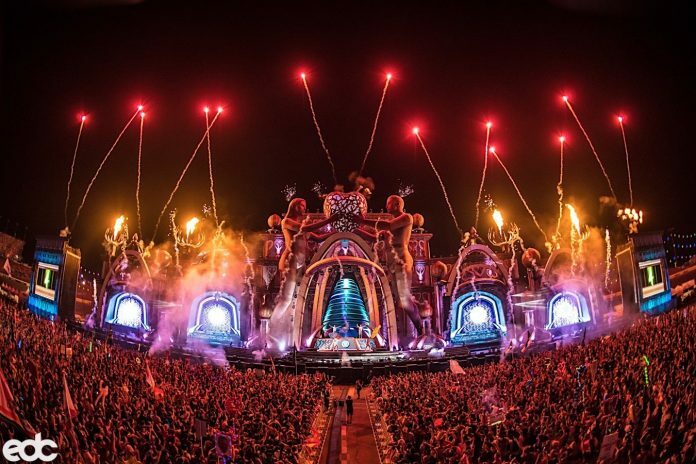 As they embrace EDC in a tropical paradise where they will celebrate a message of “All Are Welcome Here,” Orlando’s Tinker Field will transform into a neon-lit carnival atmosphere showcased by the signature kineticLOVE stage. Across the grounds, fans will explore each of the festival’s three stages, dance alongside roaming art cars and meet curious theatrical performers while taking a ride on full-sized carnival rides. Tickets for EDC Orlando are still available for purchase beginning at $189 (plus taxes and fees) for General Admission and $359 (plus taxes and fees) for VIP.